What use the taxpayers have for a staff to support a judge who has been suspended for the remainder of his term is anyone's guess. Perhaps that staff attorney who was terminated should have provided Moore with better, or more forceful, advice to prevent him from ordering judges to defy the Supreme Court of the United States. According to the station Moore claims that he was suspended not for what he did but for what he believes. His case is pending an appeal. This is the second time he’s been suspended. 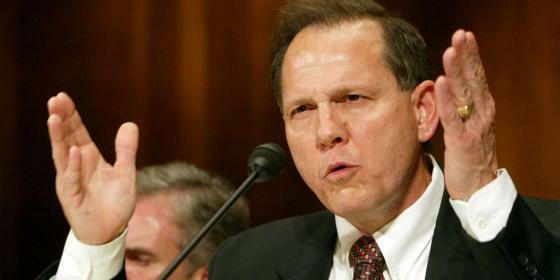 In 2003 he was suspended for refusing to remove the ten commandments from the Alabama Judicial Building. He was later removed from office, before being re-elected back to the bench. No Mr. Moore. No. Mr. Moore was suspended for what he did; for telling subordinate probate judges not to issue marriage licenses to gay couples in defiance of the U.S. Supreme Court. I concede that those actions were based upon Moore's bigoted beliefs — born of Christian arrogance — that gays are second-class citizens. In addition to his lack of integrity and his lack of respect for our laws Moore was incompetent. 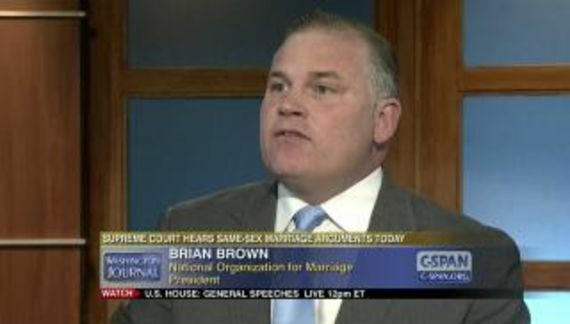 He cited the “ministerial duty” of probate judges not to issue marriage licenses to gay couples. A minister is either a government official or a religious leader. We generally do not have government ministers in the United States which means that Moore was imposing a religious obligation upon those judges. Where in the United States Constitution or case law does Mr. Moore find any religious duties required of judges? Moore has a pattern of defying lawful orders that he disagrees with. Not removing the Ten Commandments display, not issuing marriage licenses to gay couples and now not clearing out his office when required to do so. I have to wonder what kind of justice Moore dispensed from the bench. Fortunately he is finished and his appeal is unlikely to succeed. Alabamans will now have to demonstrate whether or not they are religious yahoos who will propel Moore to the governorship of their state in 2017.